Can Tho (Cần Thơ), Vietnam (Việt Nam) is the largest city in the region of Mekong Delta with specific cultural life which is mainly based on water. It is a buzzing town with an interesting, lively waterfront lined with the sculpted gardens, a harmonizing mixture between wide boulevards and narrow backstreets, and maybe the greatest concentration of international people in the Delta. Also, this place is the perfect base for those nearby floating markets, which are the main draw for travelers coming here to boat along many canals as well as rivers leading out of the city. 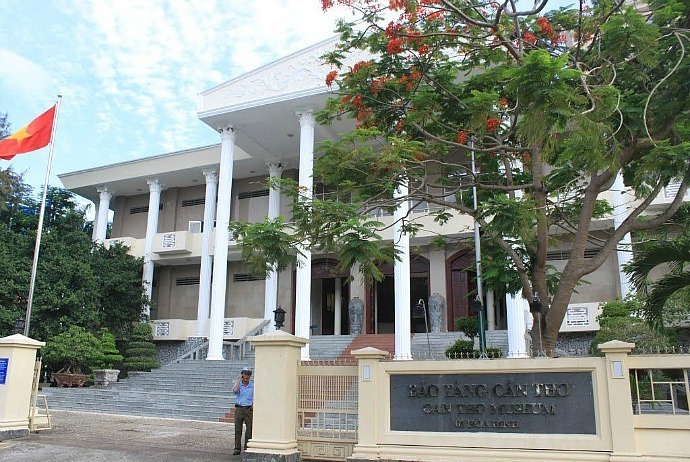 Discover 12 out of the most interesting places to visit in Can Tho through the checklist below – from Vina.com! 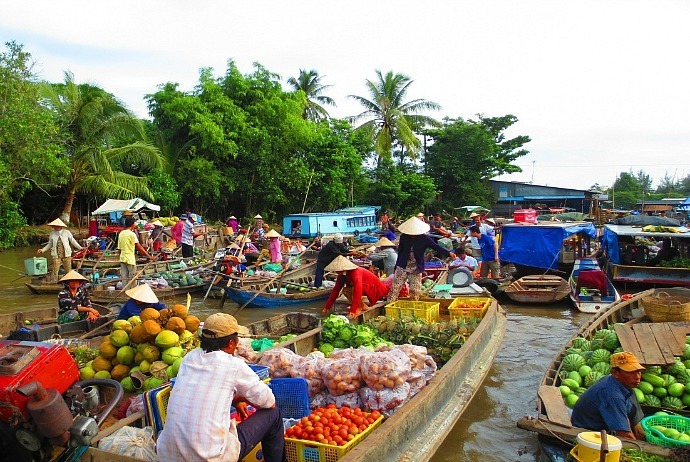 Only about 6km faway from Can Tho city, Cai Rang floating market is the biggest floating market in the Mekong Delta. A bridge here can serve as an ideal vantage point for taking photos. This market is most crowded from 6 am to 6 am. You should visit here early in order to beat the boatloads of travelers. Being a wholesale market, the market features with products tied to the long pole above the boats. These products also are what sold to the smaller traders. You could see Cai Rang Floating market from the road, yet it is still more interesting for you to get here by boat. It takes approximately 45 minutes by boat to get Cai Rang market from the area of market in Can Tho (Cần Thơ). Or, you could drive to Cau Dau Sau (Cầu Đầu Sấu) boat landing and then spend about 10 further minutes to reach this market. The best and most intimate floating market in Mekong Delta is Phong Dien market, which has fewer motorized craft but more rowing boats with traders standing up. From 5 am to 7 am, this market is at its busiest status. Phong Dien Market is about 20 km southwest of the city of Can Tho. 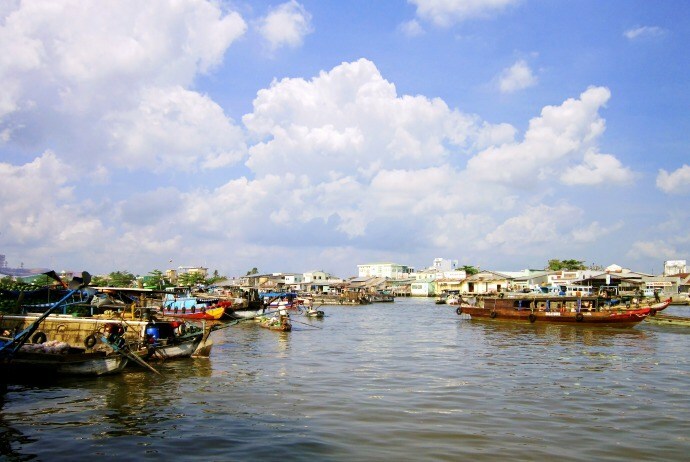 You could get here by boat; however, a lot of tourism operators offer a 6-hour tour that combines Cai Rang and Phong Dien market in one, returning to the city of Can Tho via the quieter backwaters. This is a fantastic site opposite to Can Tho (Cần Thơ) river and nicely decorated with the huge incense coils. Set inside Guangzhou Assembly Hall, the Chinese temple was established in the late 19th century with the aim of worshipping Kuang Kung, a deity who symbolizes justice, loyalty, reason, honor, intelligence, courage and other merits. Wandering via its incense-coil-filled interior brings an enjoyable feeling. The right side of the engraved screen is completely dedicated to the Goddess of Fortune while the left is for worshipping General Ma Tien. Right in the temple’s center area, you will see Kuang Kung flanked by the God of Finance and Earth. 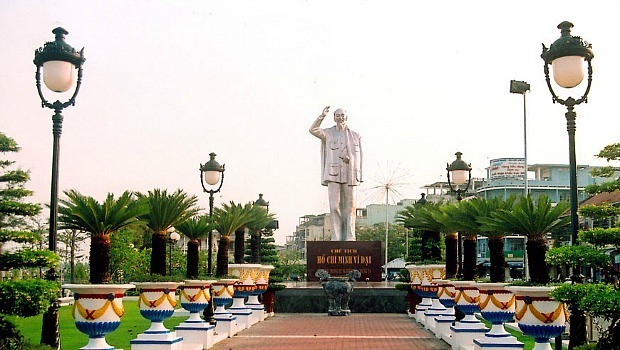 Bang Lang, about 46 km northwest of the city of Can Tho, is located in Thoi Binh (Thới Bình) hamlet, Thuan Thoi (Thuận Thới) commune, Thot Not (Thốt Nốt) District, Can Tho (Cần Thơ) City. 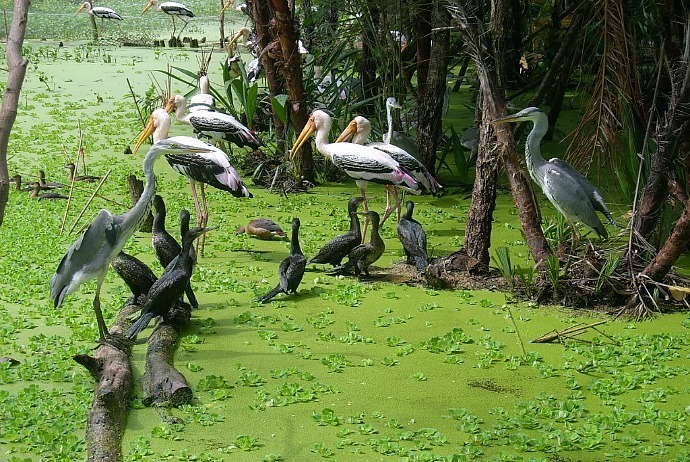 This is a magnificent bird sanctuary of 1.3 hectares with surprising views of thousands of the resident snowy egrets and storks. A high viewing platform here could allow you to see birds filling branches. If you want to view this incredible scene, choose to go there at dawn or dusk. You can reach Bang Lang by a bus or “xe om” (xe ôm) or simply take part in a tour. This is a well-presented, large museum bringing local history to the life with life-size reproductions of establishments and buildings, manikins. The displays (with English translation) concentrate on the Chinese and Khmer communities, fish specimens, plant, rice production and the war as well. The house is situated on Bui Huu Nghia (Bùi Hữu Nghĩa) street, Binh Thuy (Bình Thuỷ) ward, Binh Thuy (Bình Thuỷ) District, Can Tho (Cần Thơ) city, designed with 5 small rooms and 2 roofs, featuring French colonial architecture. 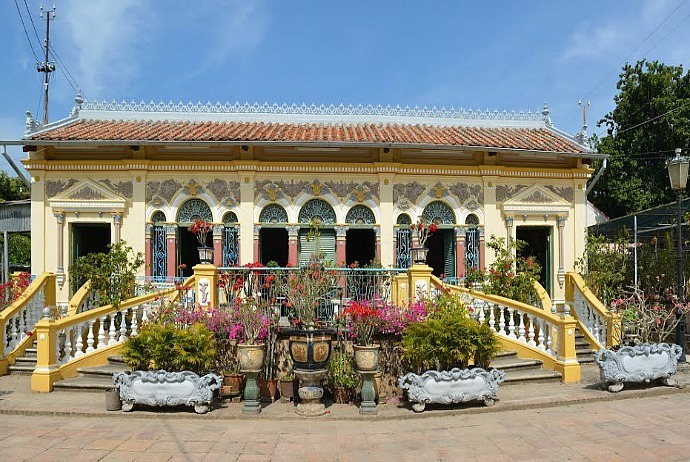 The establishment was built in 1870 by Duong (Dương) family. Having a lot of value in terms of culture and architecture, this is a rare form of old houses left intactly, helping researchers understand about the daily life, culture and evolution over time of resdients in Mekong Delta. 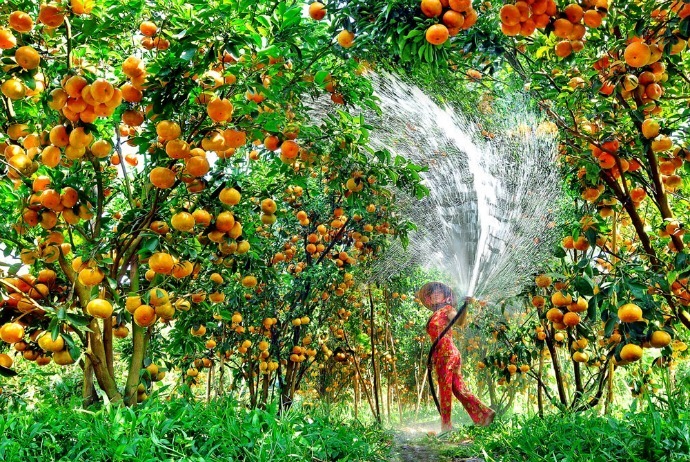 There are a number of fruit gardens spreading around the roads and waterways in Can Tho City. Many large fruit orchards for tourists are My Khanh (Mỹ Khánh), the garden of Mr. Sau Duong (Sáu Dương), Binh Thuy orchid garden, and other family tourism gardens in O Mon, Thot Not. Considered as an interesting tourist attraction in Can Tho, Ba Bo flower garden contributes to enrich the garden tours in Binh Thuy (Bình Thuỷ) District. In 2015, there are about 250 families growing many types of flowers such as sunflower, marigold, rose, etc. With an area of 20 ha, visiting here, tourists can freely contemplate and take beautiful photos to capture memories with each different garden. 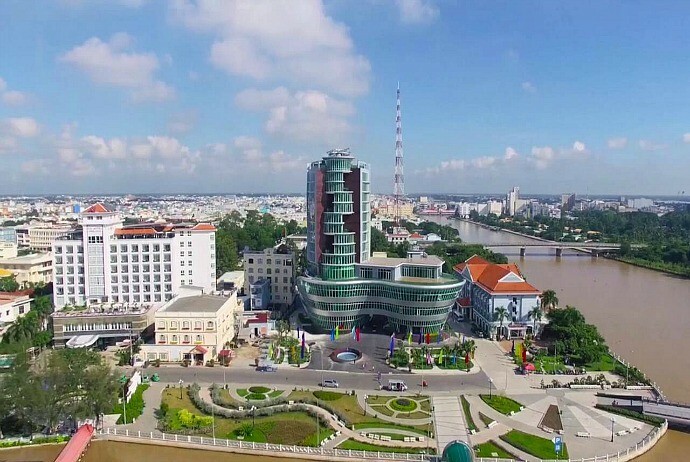 This is a symbol of youth and developement of Can Tho City. 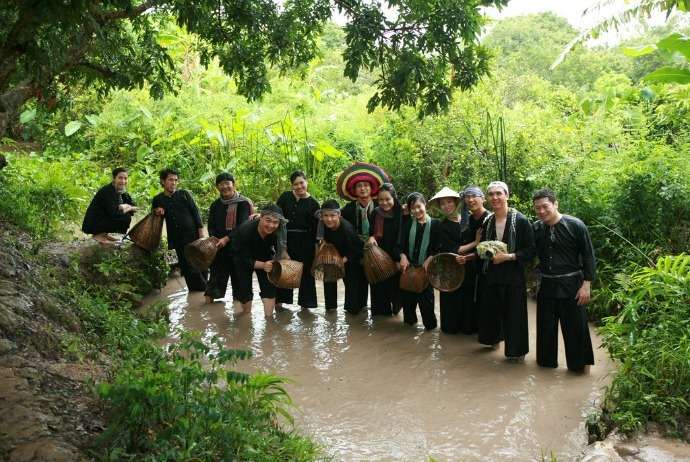 Ninh Kieu attracts tourist due to charming river scenery and the views towards Hau (Hậu) River. Located on th right bank of Hau River, right at the confluence of Hau river and Can Tho river, Ninh Kieu wharf is famous for not only being a place for walking and realxing, but also a place for young people and tourists hang out, gather and dinning in the restaurants. 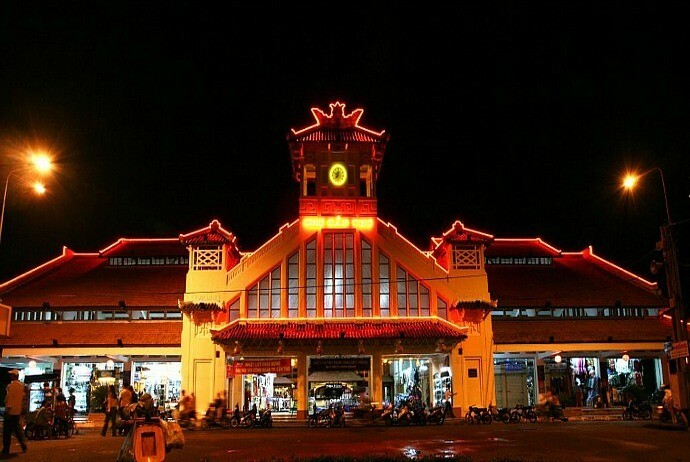 Tay Do market is the largest shopping center of the southern provinces, and also an entertainment site that cannot be skipped. Previously, this market is the focal hub of many goods from both inside and outside the country. Recent days, this market also has catering, food and entertainment services whihc are very lively at night. 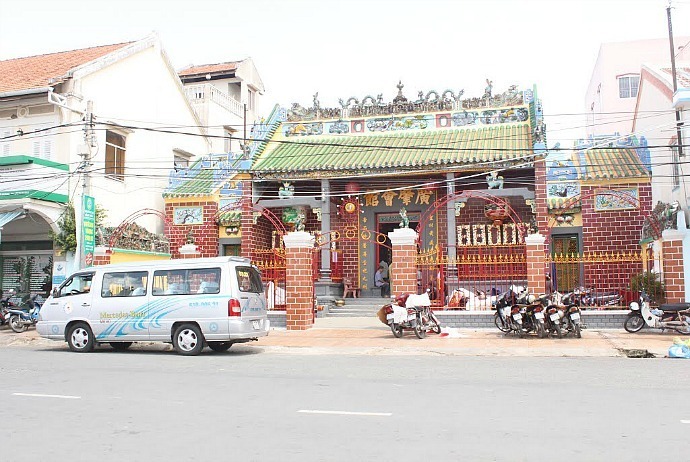 Truc Lam Phuong Nam monastery is located on an area of 4 hectares in My Khanh (Mỹ Khánh) Commune, Phong Dien (Phong Điền) district, Can Tho (Cần Thơ) city. The monastery is situated in the historic district named Lo VongCung, about a few hundreds of meters from My Khanh tourist village and 15 km from the city center. 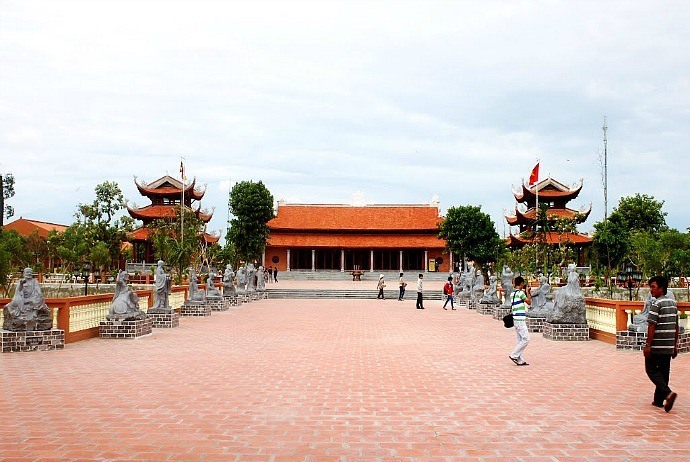 The landscape and architcutural culture from Ly – Tran period in this largest temple in the Western region will leave many imprints and a sense of peace and quiteness in tourists. Visiting this monastery, contemplating the landscape around, and praying for safety will give you a memorable piligrimage. It is becasue the cultural and spiritual values imbued in every little corner of the monastery will surely bring to tourists the feeling of peace of mind. Downstream Hau (Hậu) River for about 20 minutes from Cai Rang (Cái Răng) floating market, tourists will come to My Khanh tourist garden, not far from Phuong Nam monastery. With the cool fresh air, you will feel relaxed, comfortable, and pleasant while coming here, which is very different from bustling urban. The not-to-be-missed traveling experiences here are tasting over 20 species of fruits in the large gardens, visit traditional villages, cooking wine,… with local people, enjoy specialities, visit ancient houses and listen to “Vong Co” (Vọng Cổ) songs.